We are pleased to introduce Dr. Brent Greenwald, board-certified neurosurgeon and fellowship trained in spinal surgery. Dr. Brent Greenwald has over 20 years of neurosurgery experience and has helped thousands of patients with conditions ranging from carpal tunnel syndrome and spinal stenosis to brain surgery. Dr. Greenwald provides dedicated, personalized, and professional care to all his patients. Dr. Greenwald originates from Louisville, Kentucky. He attended the College of William & Mary in Williamsburg, Virginia where he earned his Bachelor of Science in Biology. He attended the University of Louisville Medical School in Louisville, Kentucky. He performed his general surgery internship and neurosurgery residency at the Medical College of Virginia. Further studies include a Spinal Surgery and Fellowship with Hallett Matthews, M.D. and neurology training at the National Hospital for Neurology and Neurosurgery in Queen's Square, England. 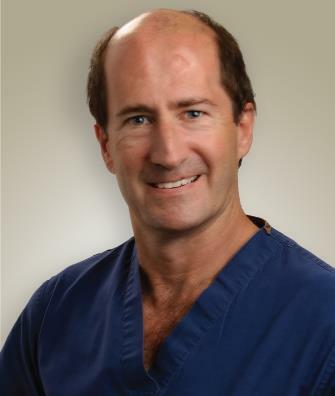 Dr. Greenwald's special surgical skills include minimally invasive spinal procedures as well as spinal instrumentation techniques acquired in his spinal surgery fellowship with Hallett Matthews, M.D. He has been a contributor to clinical research regarding severe head injuries and spinal surgery. He keeps current with medical techniques and advances. He is a Board Certified Neurosurgeon. Dr. Greenwald has three children: Kyle, Kali and Kaidun. Spending time with his kids is by far his greatest passion. Aside from enjoying the company of his family, he also enjoys bicycling, kayaking, running, any type of skiing, traveling and being outdoors. In addition, he is a big fan of the Three Stooges, Monty Python, and The Marx Brothers.